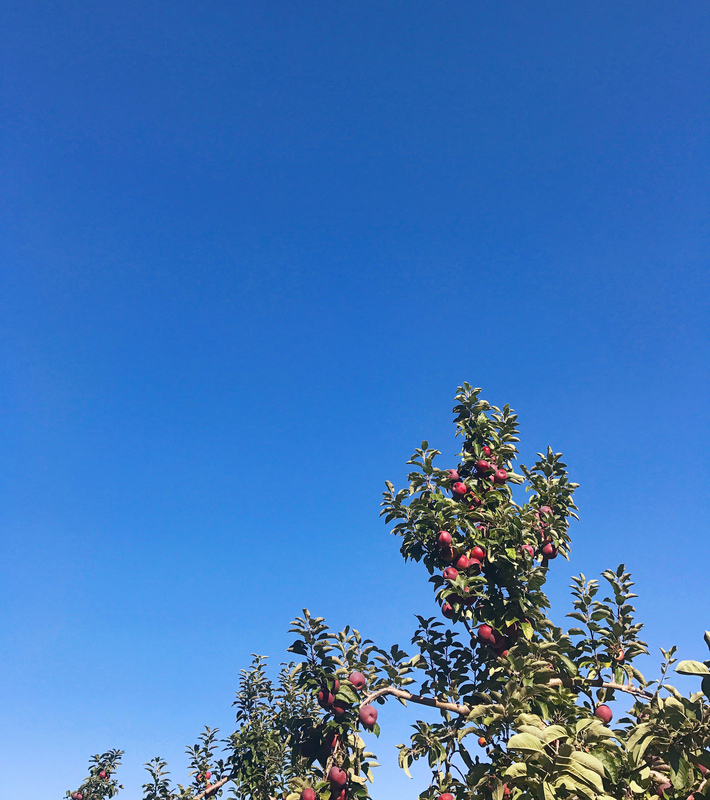 We shared a quintessential New England tradition with Jane this weekend and took her on an inaugural apple-picking trip. My in-laws live nearby several apple farms outside of Boston, and with the sun-shining on Saturday, we took a drive over to Honey Pot Hill Orchards for the afternoon. 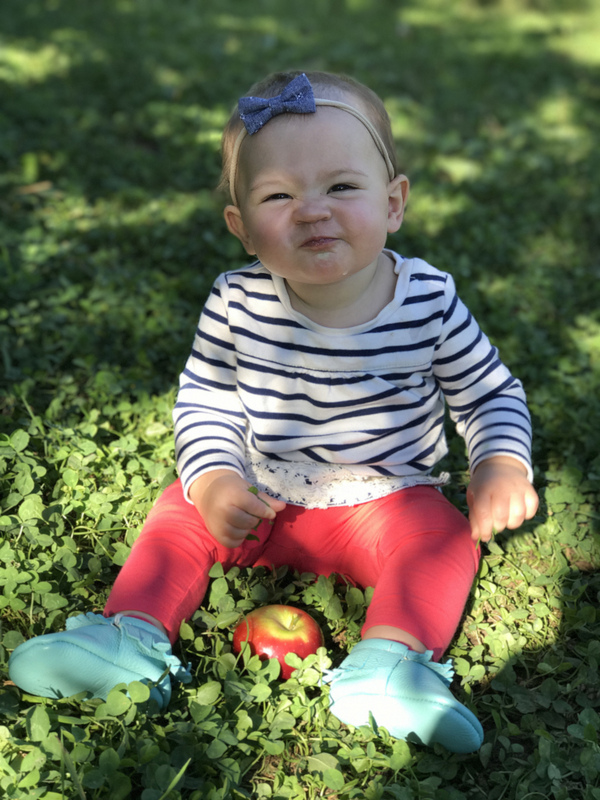 Everyone else in the state must have had the same idea because it was packed, but we trekked a little farther into the orchards and plucked a few bags of fresh, juicy apples. 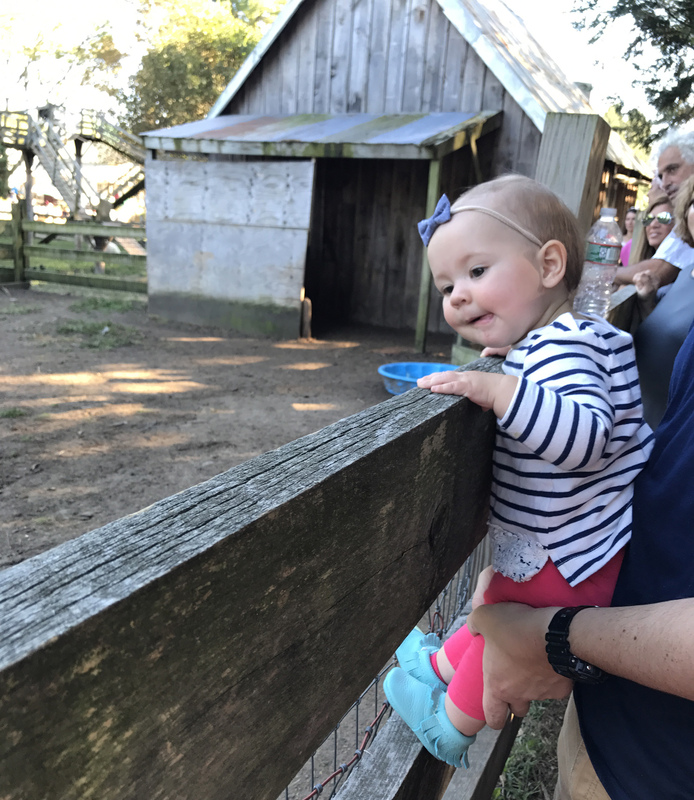 Jane loved trying the apples, working on her standing at the apple tree ladders, and her favorite part was checking out the farm animals. 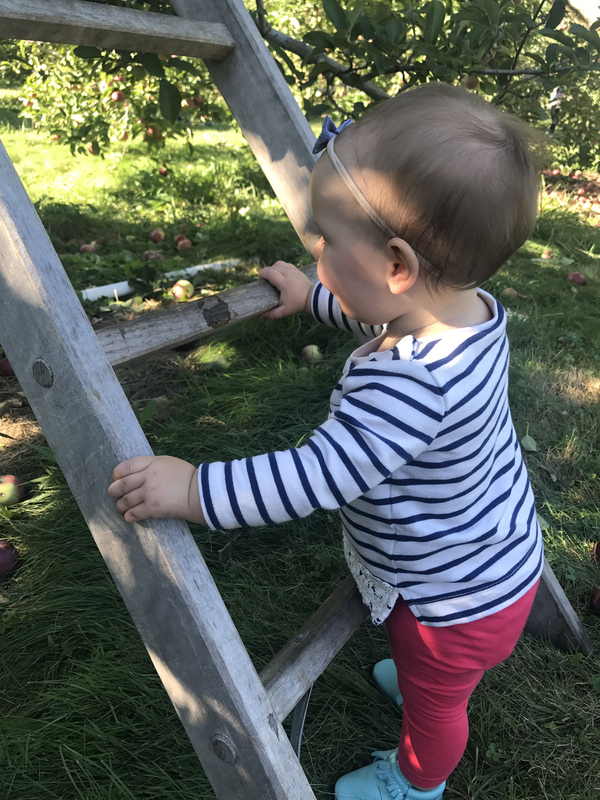 These pictures I snapped are killing me, because she looks like such a big kid hanging on the fence and holding the apples — our little baby is growing up! We wrapped up our apple picking trip with some fresh cider and hot cider donuts (Jane love those too, who wouldn’t?). Now I’m scheming what to do with all of our apples! In case apple picking is on your to do list for an upcoming fall weekend, I thought I’d share an older post from my archives with a list of all of my best apple-filled recipes! Project 62. Apple Cider Roasted Chicken. 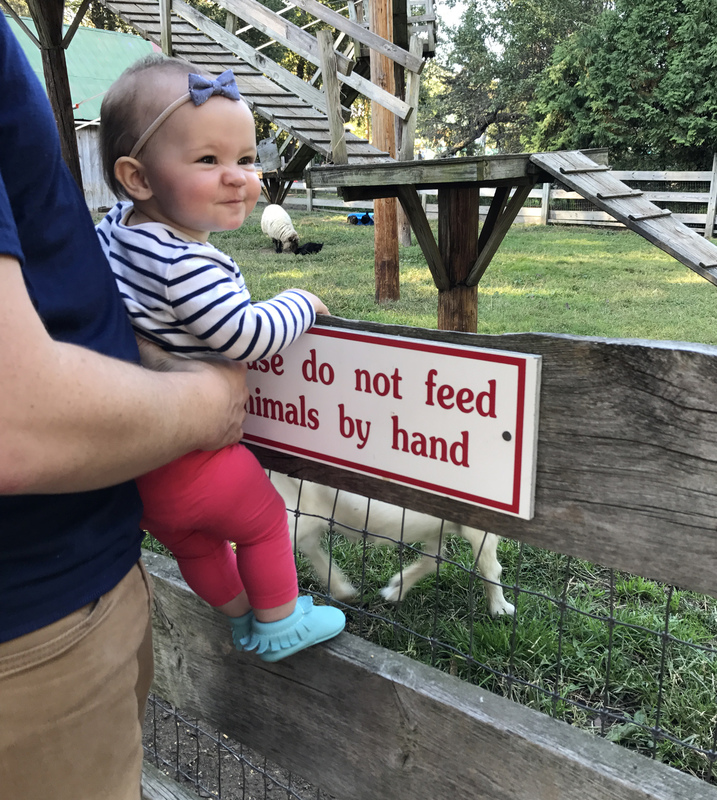 3 Responses to "Apple Picking." She’s just the cutest. I love Fall family outings. Aw thanks! It was a ton of fun. 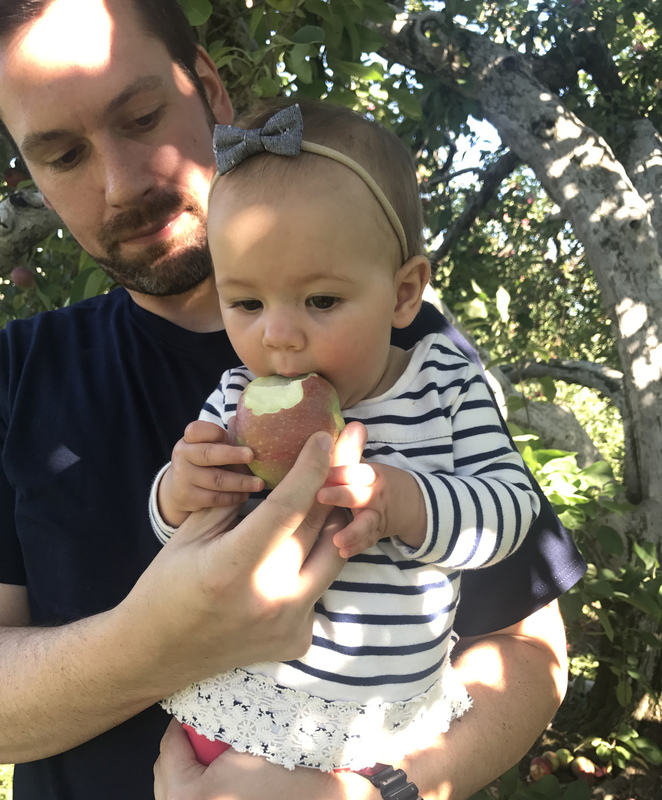 Apple picking is great fun for the whole family. 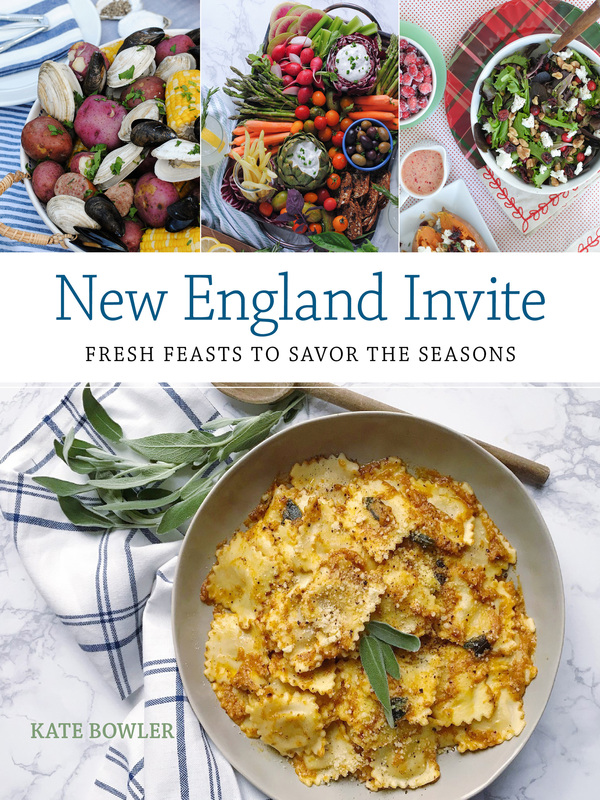 It’s a great way to spend some time outdoors and get some fresh air!